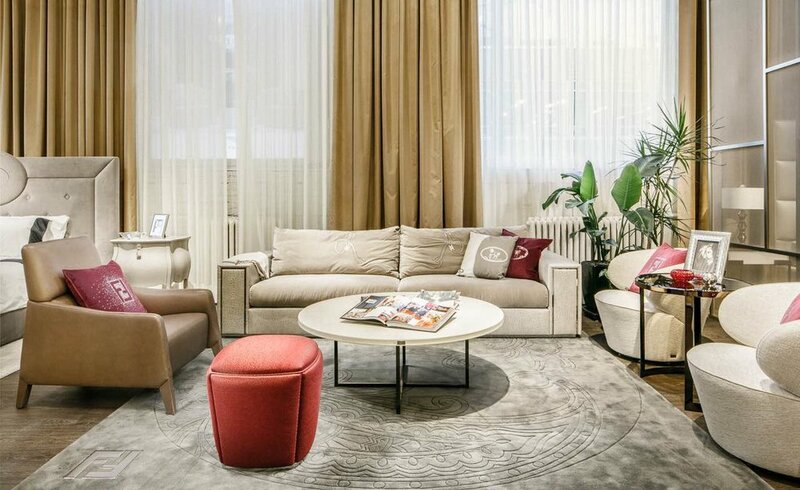 Major Interiors opened the doors to their newest luxury retail venture, the Fendi Casa Bentley Home showroom, in the heart of Hastings Crossing at 300 West Pender Street. This area between Gastown and Yaletown is undergoing rapid gentrification and as a result features numerous trendy boutiques, restaurants, and cafés. 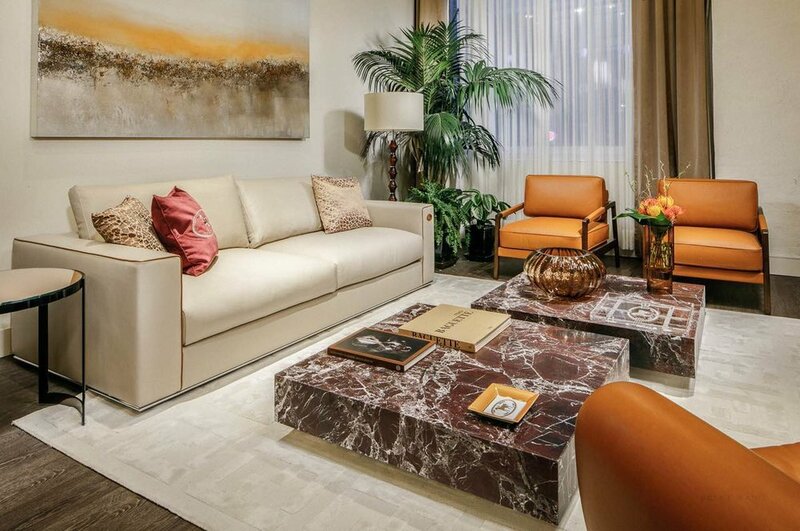 The 5,000-square-foot open concept showroom has exposed brick, large character windows, and impossibly high ceilings, and is divided into several rooms with vignettes that showcase luxury furnishings collections from the brand portfolio of Italy’s Luxury Living Group. 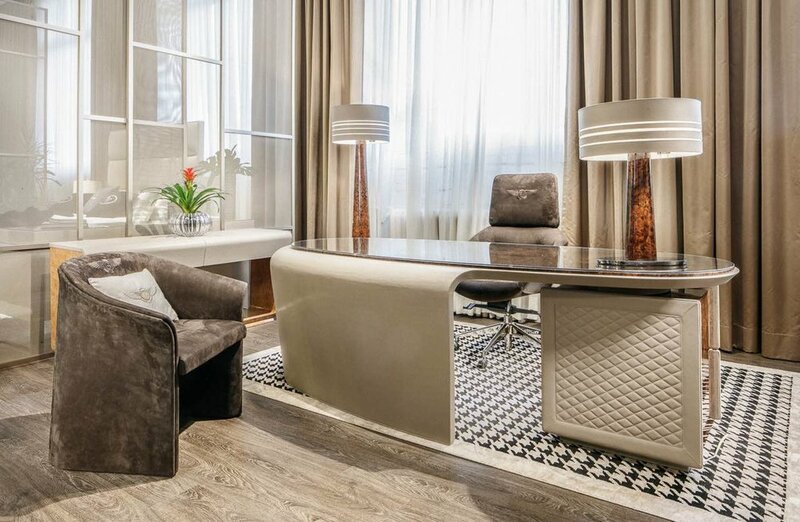 Blending both The Fendi Casa collection, which celebrates the Roman Maison codes, and Bentley Home, inspired by the British luxury car company, into one location satisfies clients with a wide range of taste and styles. Visitors will note the added golden touch of Versace Home plateware and crystal decor peppered throughout the room displays. Near the back of the showroom is a Steinway & Sons black regular grand piano which is next to the soon-to-be completed private shopping area and adjacent to a section of floor space which will be for seasonal installations where Major will introduce luxury homewares and unique decor from emerging brands that compliment the Fendi Casa Bentley Home lifestyle. 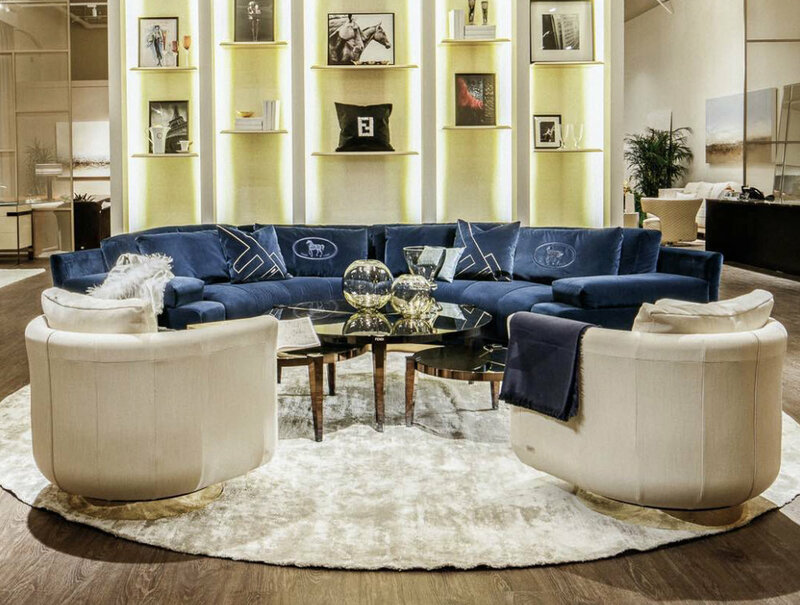 With over two decades of experience working in North America, Major Interior has grown to become a company known for the development, production, and distribution of luxury home products including partners Versace Home and Misura Emme. Other News: Bayview Village Getting 13,000 sq ft Spa, Haute Couturier Guo Pei Limited Edition Dolls, Palladio Jewellers Relocating, Club Monaco Partners with Reigning Champ, Hill Street Beverage Milestone, Parka-Insulated Lodge.